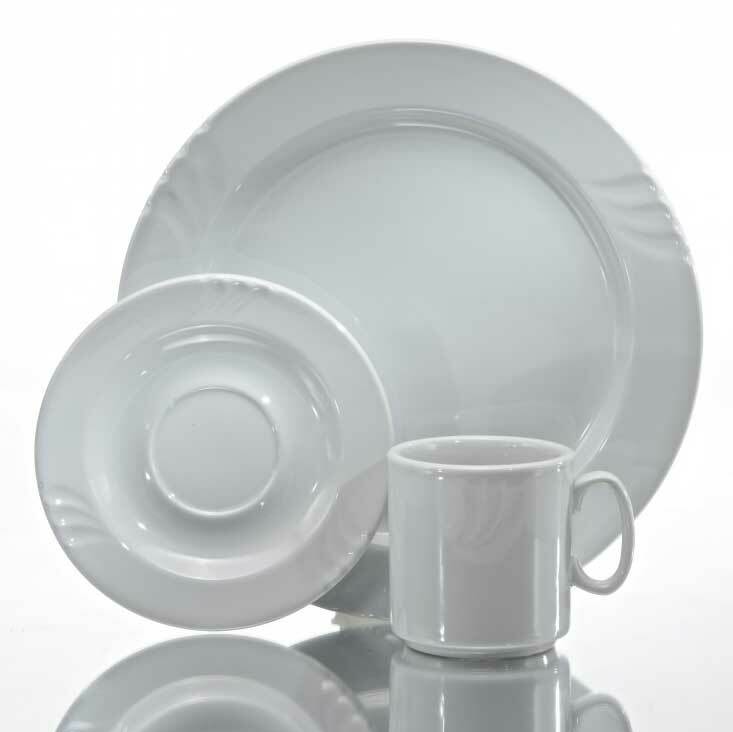 Oneida's Briana China Dinnerware is a perfect blend of simplicity and style. The combination of classic bright white color and the embossed scallop design make this pattern ideally suited for any casual dining. Additionally, these porcelain items are protected by a 1-year, no chip warranty.